Movies. I love movies. I’m a bit of a cinephile. Luckily for me, I got to live in Austin, TX for 5 years; a city full of cinephiles and the amazing Alamo Drafthouse. The Drafthouse throws a film festival once a year. Well, not just a film festival – THE film festival (at least for me). It’s days upon days of slick, stunning, mind blowingly weird genre films from all over the world. Every year I went I found myself adoring the films coming out of Scandinavia. Let The Right One In, Troll Hunter, Rare Exports, Klovn – I was hooked. Through these and the lovely introduction of Vikings, I was dreaming of the day I could make a trek north. 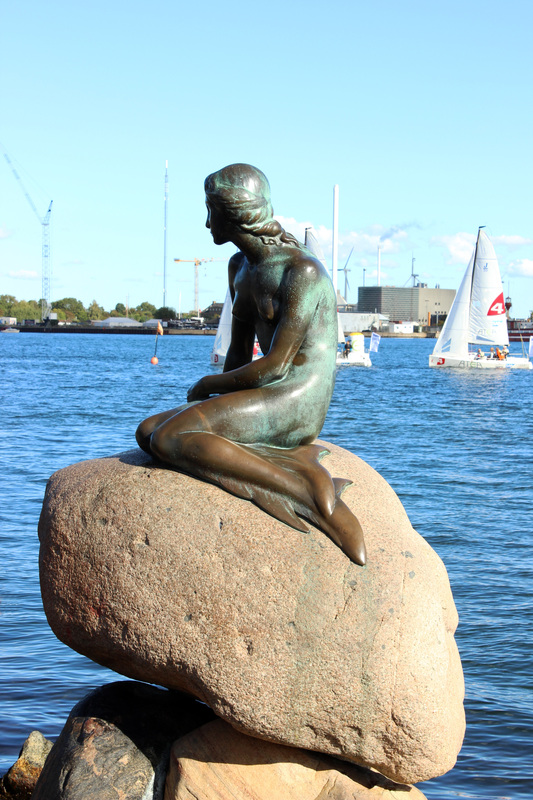 Smart, beautiful, modern design, Nordic fjords, and fairy tales? Yeah, totally in. 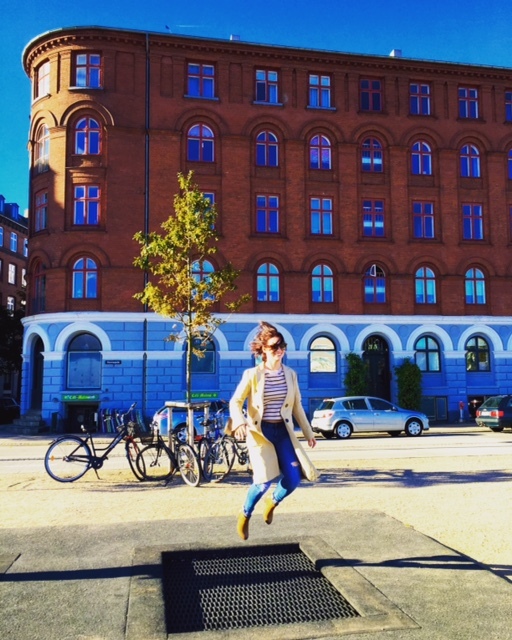 Suffice to say, when I learned I’d be going to Copenhagen for 2 days, I was dancing with excitement. Tokyo has a direct flight via SAS from Narita to Copenhagen that takes roughly 11.5 hours. If you arrive from the North and are sitting on the left side of the plane, you’ll catch a glimpse of Malmo, Sweden, and a really interesting island (Salthom) that has a smattering of unique houses. 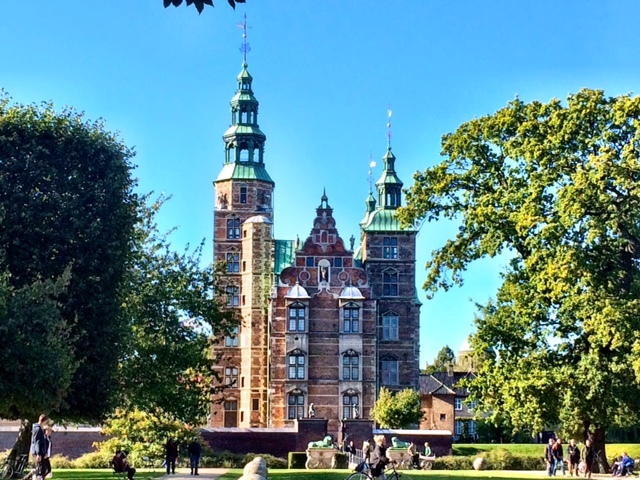 A cab in to the city from the airport will cost around 300 dkk or $50 usd. Luckily, if you’re on a budget, there is a train from the airport to the heart of the city. Most Copenhagen hotels seemed to be pretty reasonable price-wise. There was definitely a gap in the mid-high range, though. The available hotels were either cheap or really expensive. 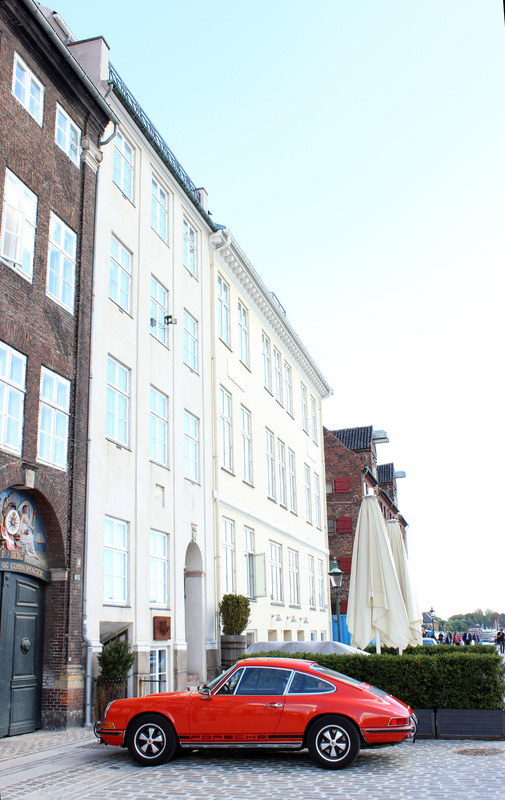 I ended up staying at Hotel Bethel, right in the heart of Nyhavn. It was a no frills hotel, for sure, but the location more than made up for the interior ambience. I think next time I will try an AirBnB boathouse along one of the canals! Transport around the city is an absolute breeze. It’s pretty easy to walk anywhere you’d like, but if your feet start aching, you can hop on one of their metros or use a City Bike. 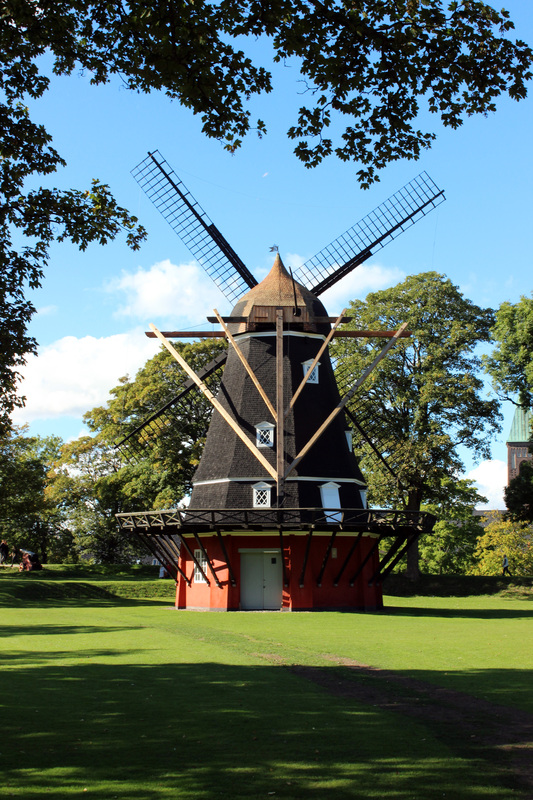 Copenhagen has been consistently voted as one of the best (if not the best) cities in the world for bicyclists, so definitely take advantage of that. City Bike costs 25 dkk per hour and come equipped with a navigation and information system between the handle bars. I’d avoid cabs if you can, they’re quite pricy. Well, most things in Copenhagen are quite pricy so I guess it makes sense. The city is absolutely stuffed with amazing restaurants and is quickly becoming known as one of the top destinations for unique Michelin-Starred restaurants. 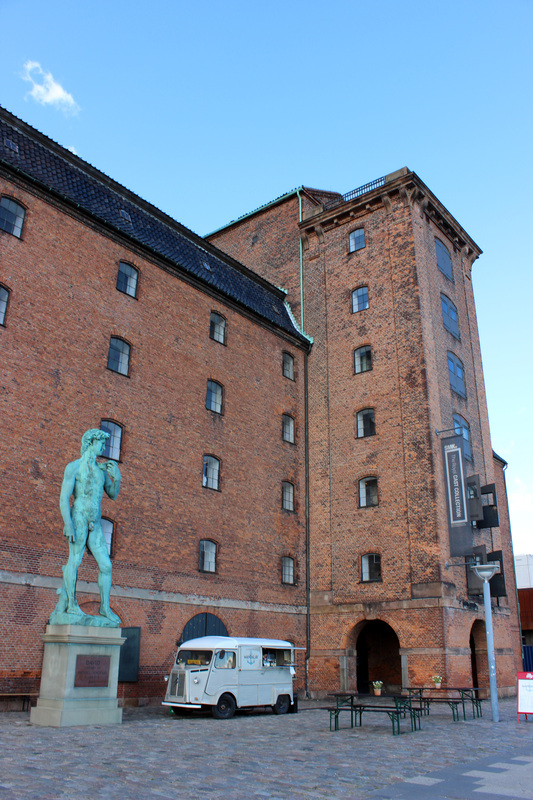 Noma is of course the darling of Denmark, but you’ll need to book it months in advance. My trips are usually pretty spur-of-the-moment, so there was no chance to get in. Geranium was another one that kept being mentioned by friends. Again, unfortunately no luck booking a table. We did luck out with booking a table at Kong Hans Kaelder, however! 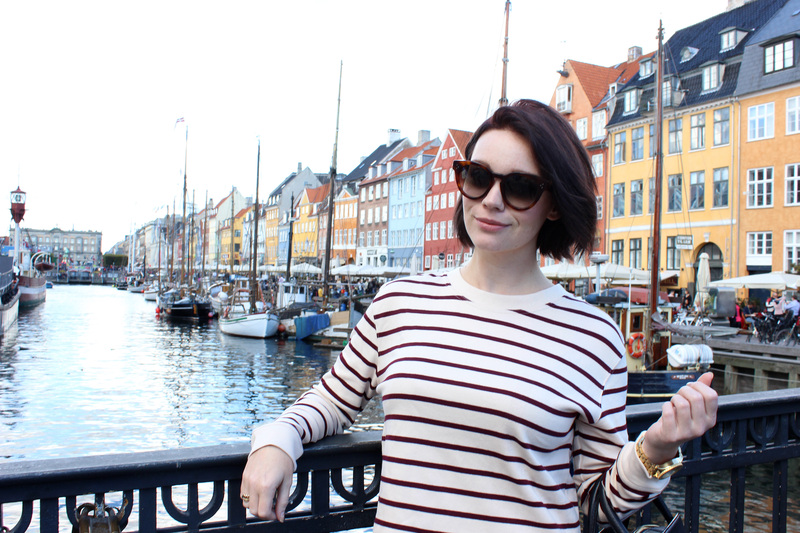 Located just a 10 minute walk from Nyhavn, it was delicious and convenient. The building its housed in has an amazing pedigree, as well. Interesting to read up on! The food was absolutely amazing. I went full seafood and started with the scallops and finished with the Danish black lobster. Definitely worth a visit! Unfortunately I didn’t take any photos of. 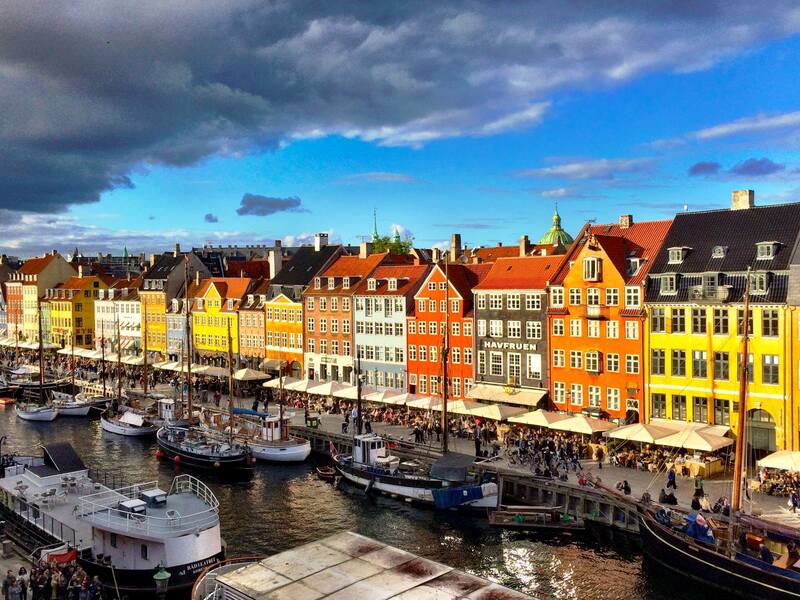 The view of Nyhavn from my hotel. 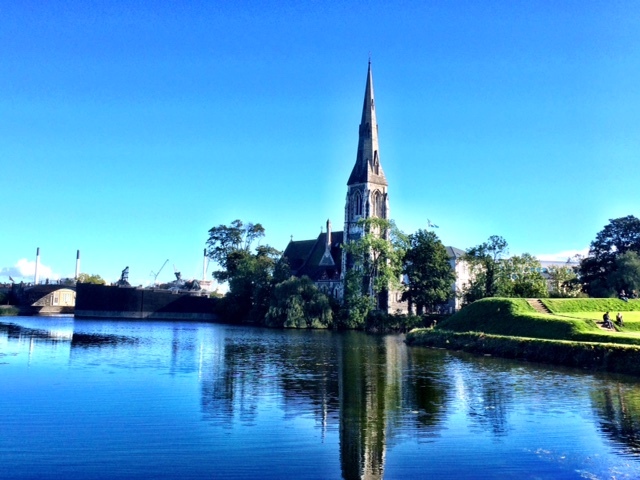 Picture perfect Copenhagen. Great photo spot along the canal. There were quite a few interesting classic cars driving around. 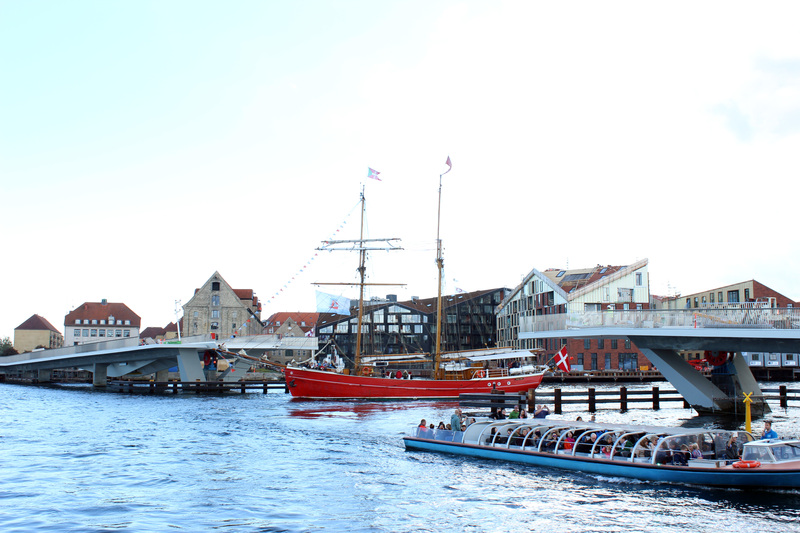 The port of Copenhagen and the unfinished pedestrian bridge. Once complete, it’ll make getting around the city even easier! There are lots of really great old, repurposed warehouses lining the port. Copenhagen has tons of public spaces, including these trampolines built in to the ground along the water! 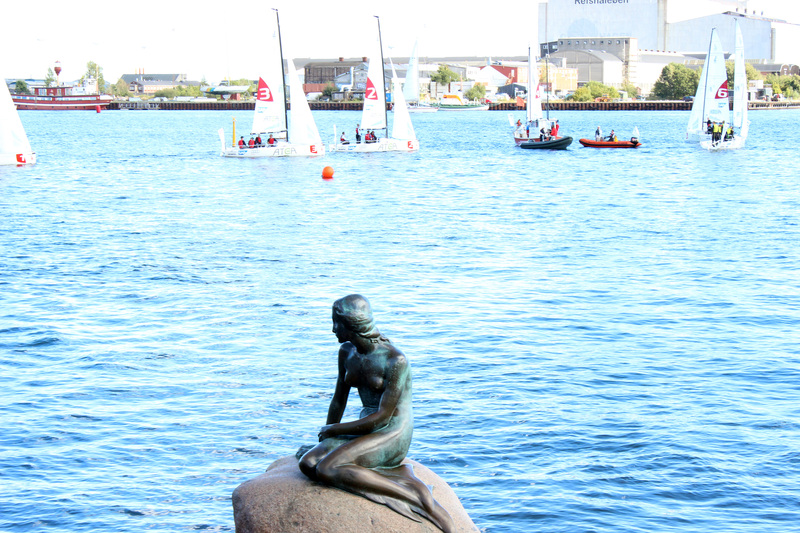 Couldn’t come to Copenhagen without seeing her. The Little Mermaid. There will be a lot of tourists climbing on the rocks around her to get photos. Personally, I’m pretty against climbing on statues and such. Just seems like not the right thing to do. Hans Christian Anderson’s version is definitely more sad than Disney’s. St. Alban’s Church on a beautiful day! 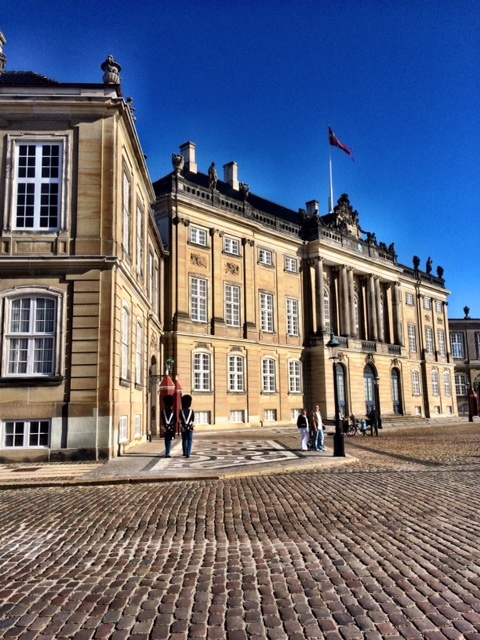 Amalienborg – a grouping of 4 buildings that house the royal family. I believe this was the Prince’s residence. 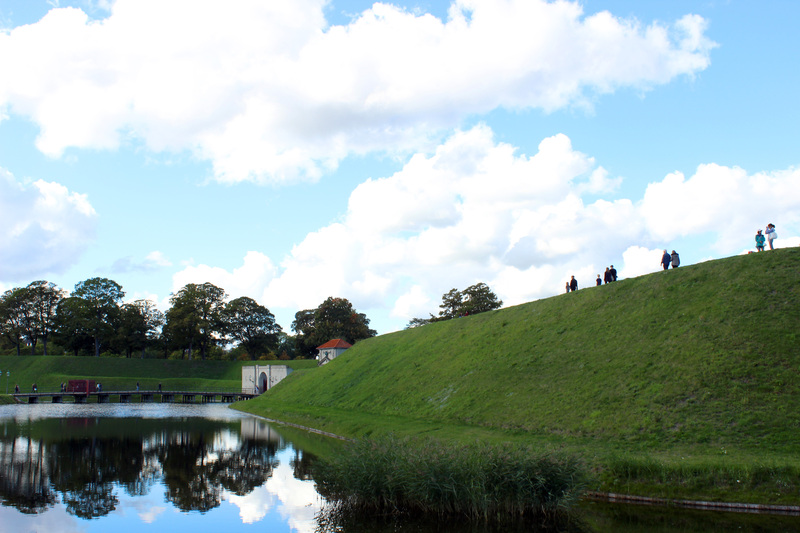 The moat and entrance to Kastellet – the star shaped fortress. 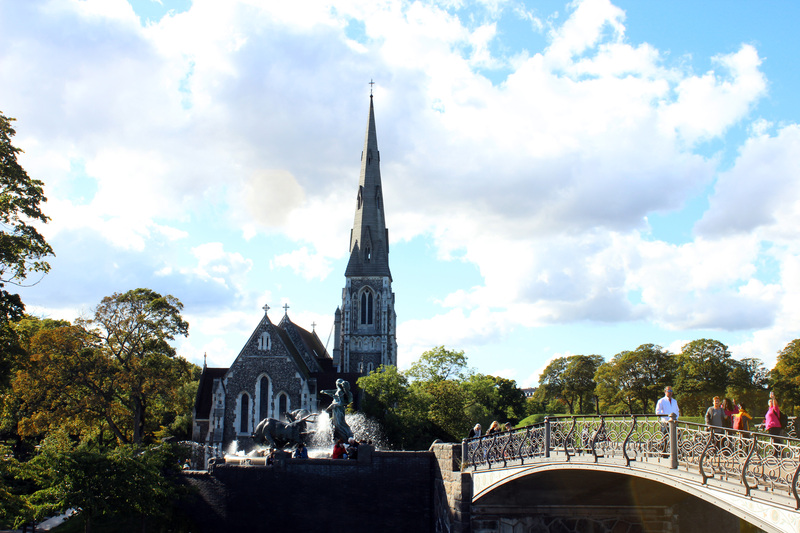 St. Alban’s seen from the entrance of Kastellet. 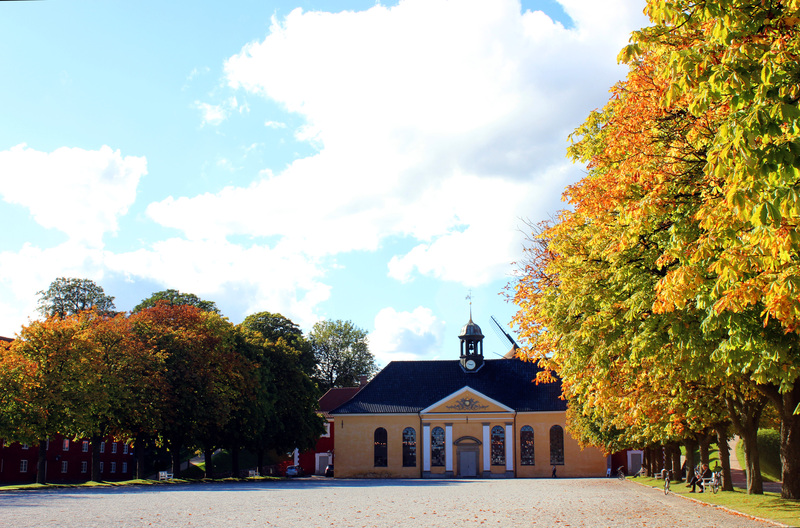 The Kastellet is encircled by tall earthen walls that have a pathway on them. It’s a perfect spot if you’d like to go out for a jog! 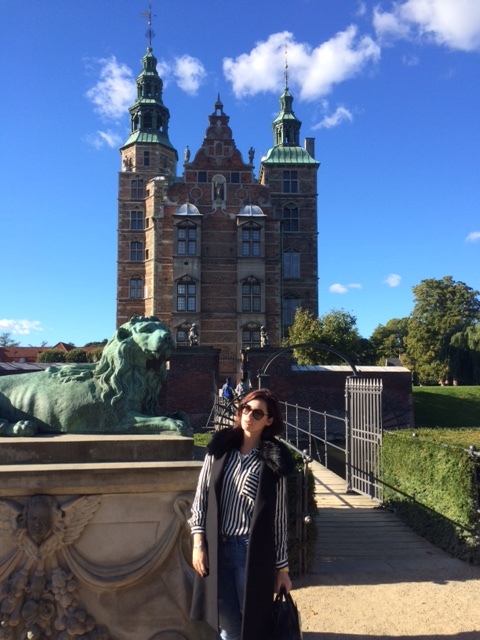 Rosenborg Castle next to the King’s Garden. I think I’ll move in. 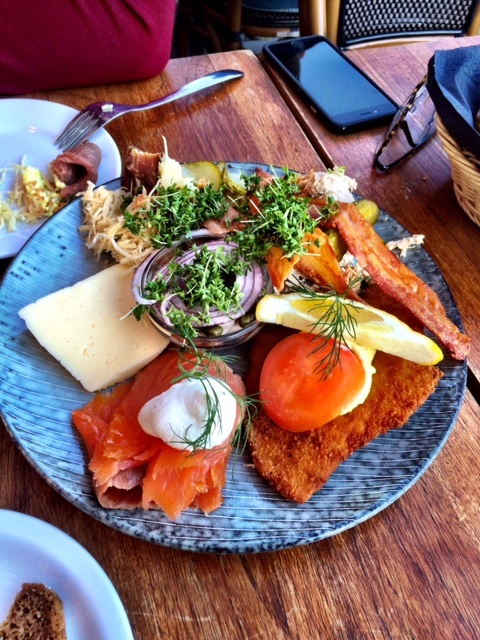 No trip to Denmark is complete without trying smørrebrød (open faced sandwiches). This one is from Restaurant Schønnemann, a wonderful old restaurant a short walk from Rosenborg that specializes in smørrebrød and schnapps. This one was dark rye bread (Danish rye bread is the best! 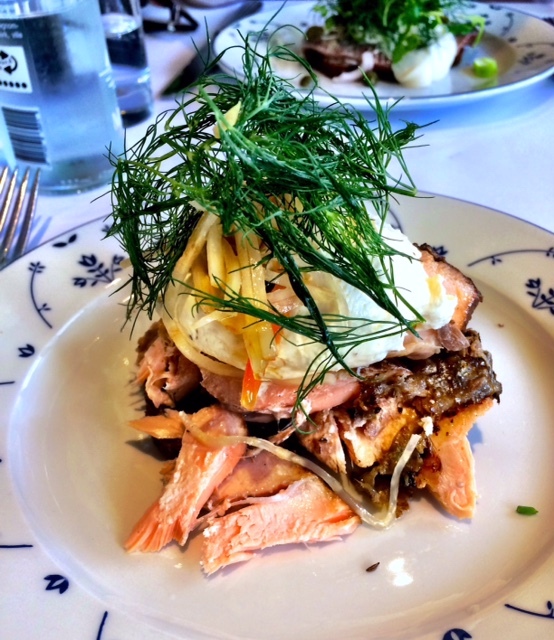 ), warmed smoked salmon, lemon cream, pickles, and something else. It was delicious! 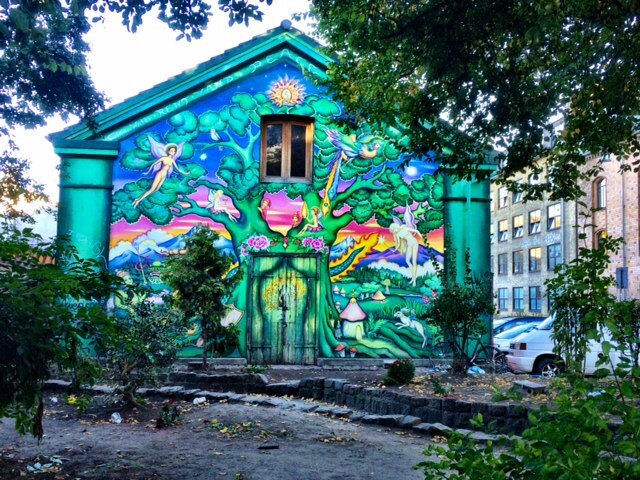 One of the entrances to Free Town Christiania. I don’t have photos inside, as it seemed to be frowned upon. Whatever you do, don’t ever take a photo along Pusher Street. There are lots of signs to remind you…so just don’t do it. This is definitely a must see when you visit. Try to go with someone who knows their way around, as it’s fairly inside to get lost once inside. 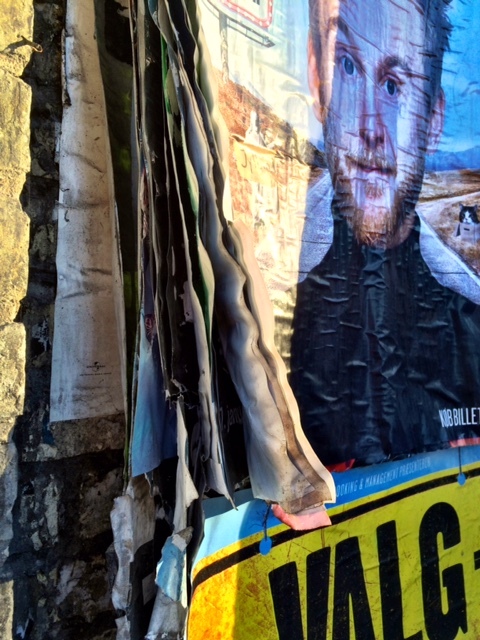 Stacks and stacks of posters outside Christiania. Dinner back in Nyhavn. Being a touristic area, the restaurants can be hit and miss. I quite enjoyed this plate from Nyhavn 77, however. Well, it was a quick trip and I didn’t venture too far outside of where I was staying. I think it’s definitely plausible to accomplish this all in one day. It’s a leisurely 2 days if you don’t want to push yourself. 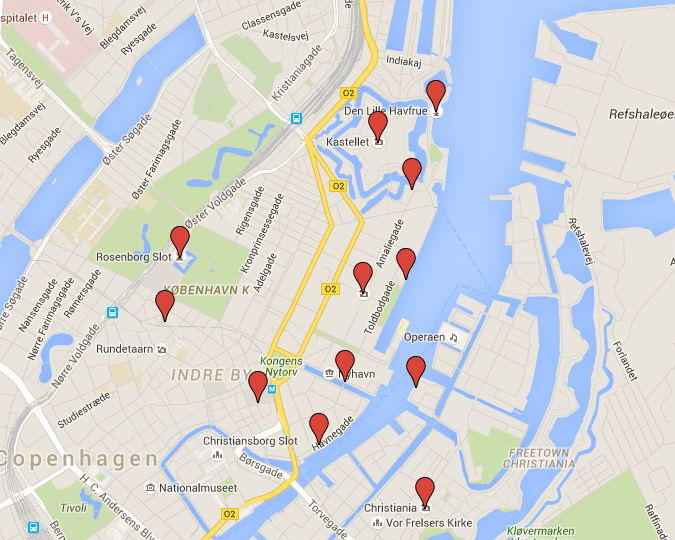 One place I definitely wanted to go to but missed is Paper Island, home of Copenhagen Street Food. If you enjoy food trucks, a chill vibe, and eating/drinking on the water, this seems like the perfect place to go. Enjoy your travels! And pray for California weather.